The thing about throwing a Super Bowl party is that any interest in football is totally optional. Everyone knows these parties are mostly about the food (at least that’s what we tell ourselves). As with any party, hosting is much easier if you pick a few recipes that can be made ahead of time. 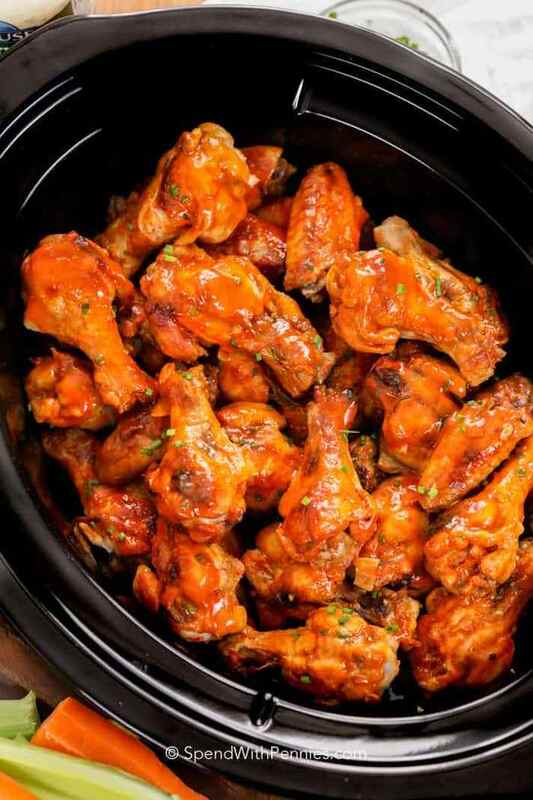 Luckily, there’s no shortage of slow cooker Super Bowl recipes. 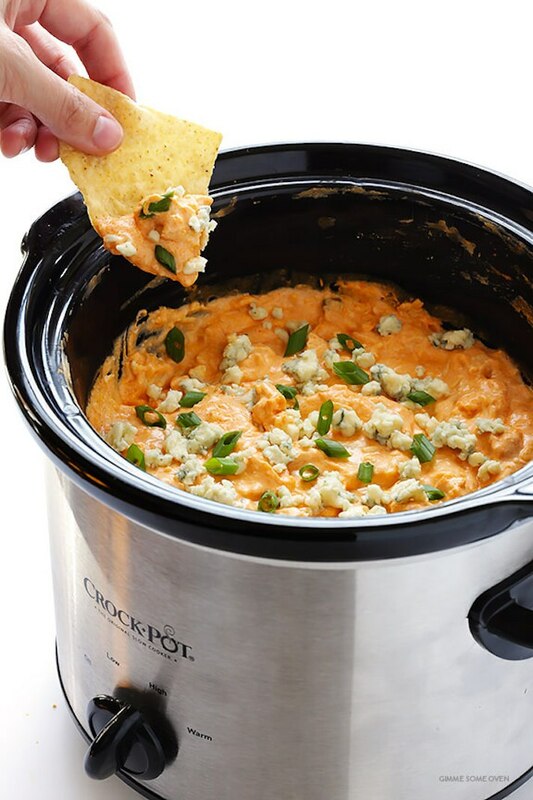 Hearty football snacks are great slow cooker candidates in general. The braised meat of pulled pork or beef sliders is best done in the slow cooker. 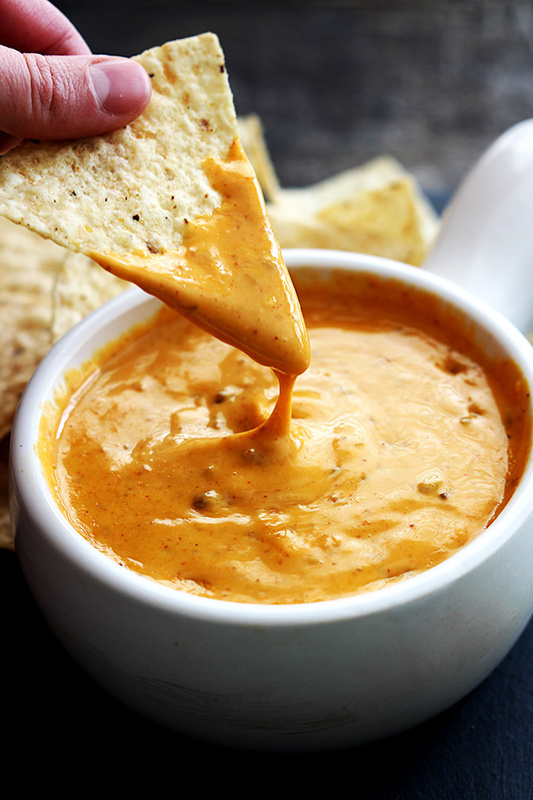 Cheesy dips are easy to throw together in the slow cooker, and it’s a great way to keep ’em warm well into overtime. 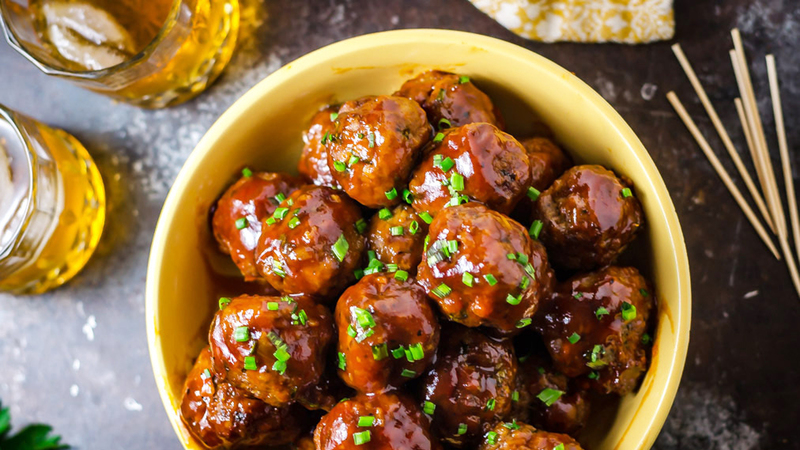 And there are plenty of less obvious slow cooker Super Bowl recipes that can add variety to your game day spread: homemade Chex mix, saucy meatballs and tasty chili, just to name a few. 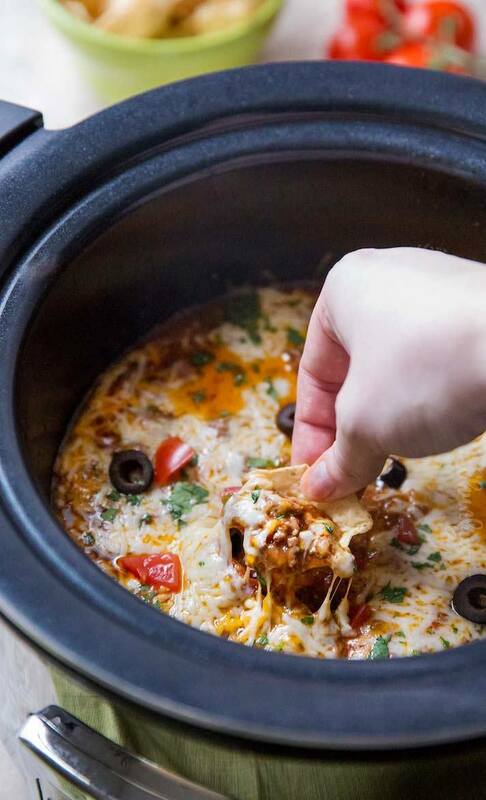 Whether you’re hosting a party, heading to a potluck or just in need of something to snack on while you watch the game on your couch, these 17 slow cooker Super Bowl recipes range from snack-y to mealworthy. 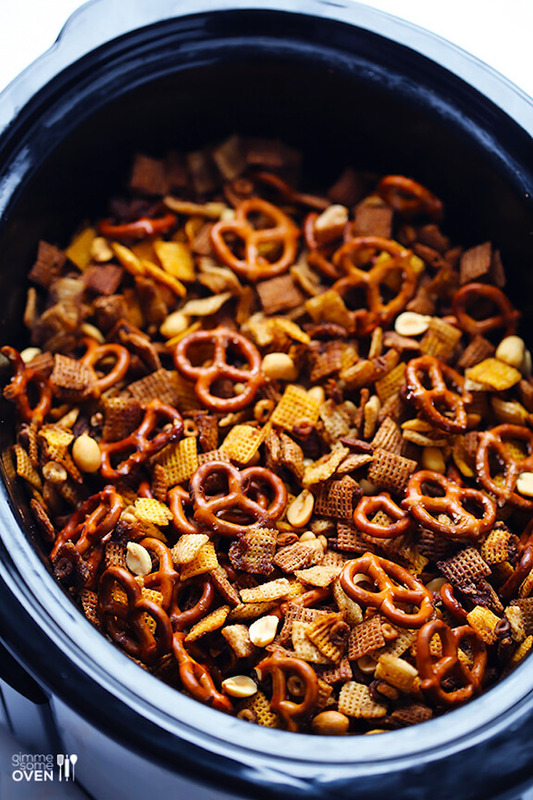 Even if you couldn’t care less about sports, these snacks will get you through the game. 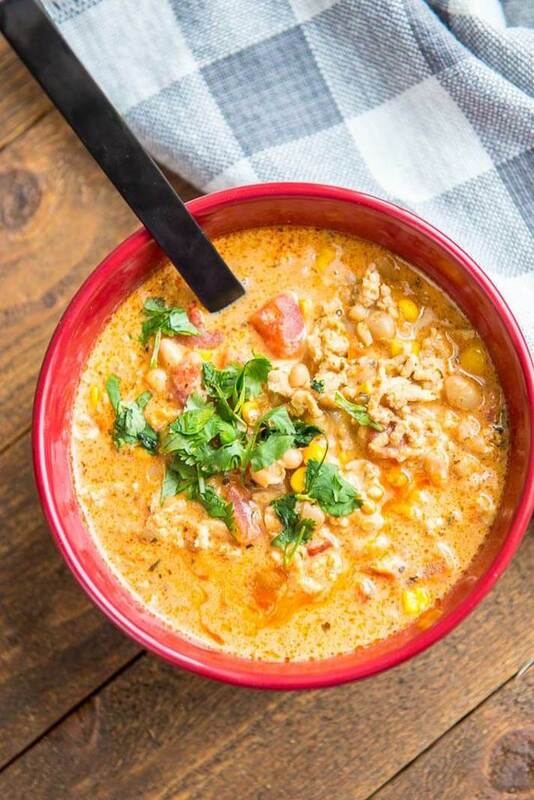 A bowl of this slow cooker Buffalo chicken chili is the perfect way to kick things off. 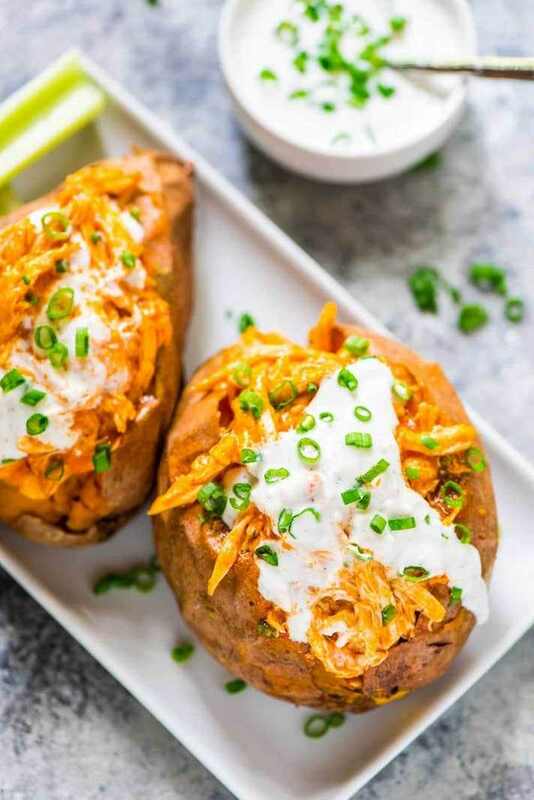 This healthy-ish slow cooker Buffalo chicken sweet potato recipe is great for weeknight dinner, but it also packs enough punch to make a splash at your Super Bowl party. 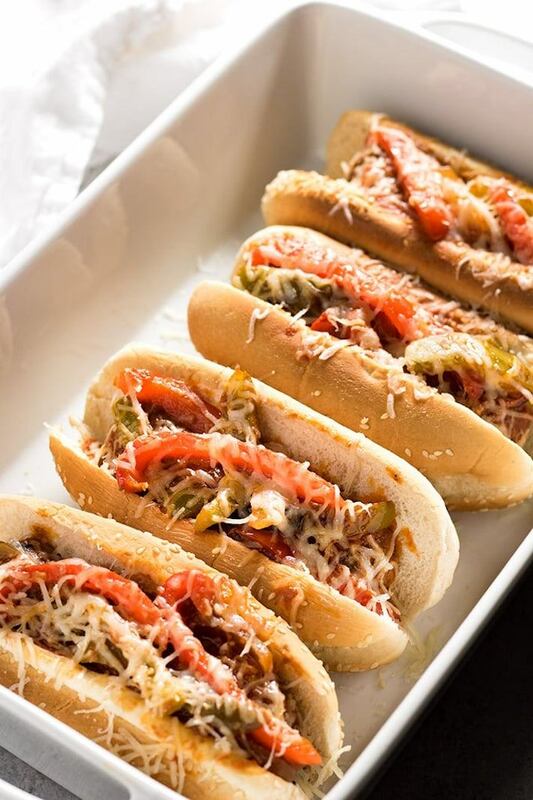 Nothing says game time like slow cooker sausage and peppers served on a delicious roll. Image: Served Up With Love. 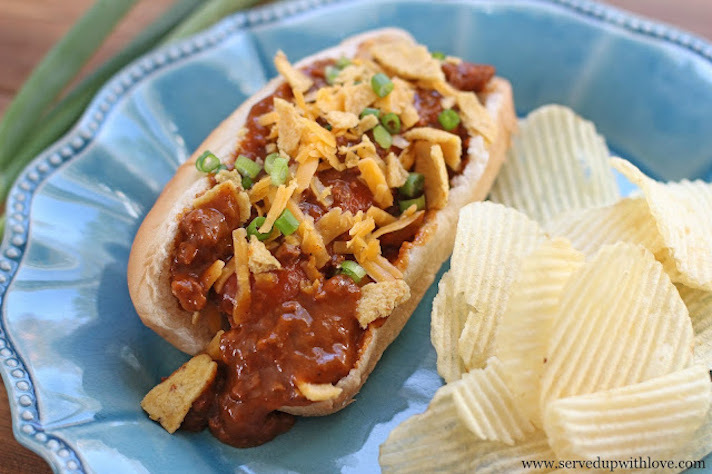 Make sure you have plenty of napkins around to deal with the hazards of these deliciously messy slow cooker chili-cheese dogs. 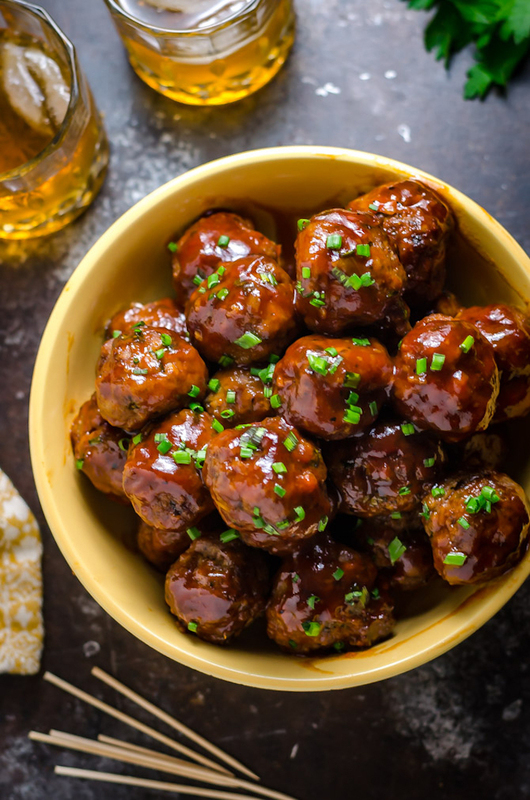 Serve up these slow cooker Italian meatballs on slider rolls with thick slices of French bread — or, you know, on their own. 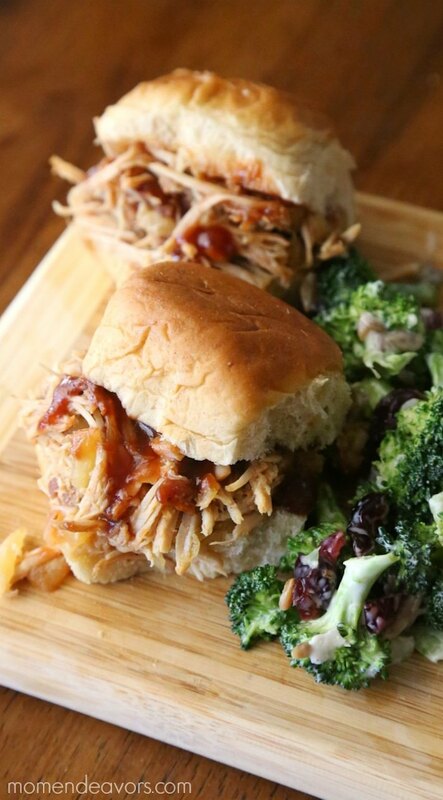 These sweet-salty slow cooker pulled pork sliders work as an appetizer or a main course. You can never have too much Buffalo sauce at a football party. Plus, chicken wings are the ultimate watch-party food. Instead of taking up tons of space with an all-out taco bar, throw everything into a slow cooker and serve up this taco dip. 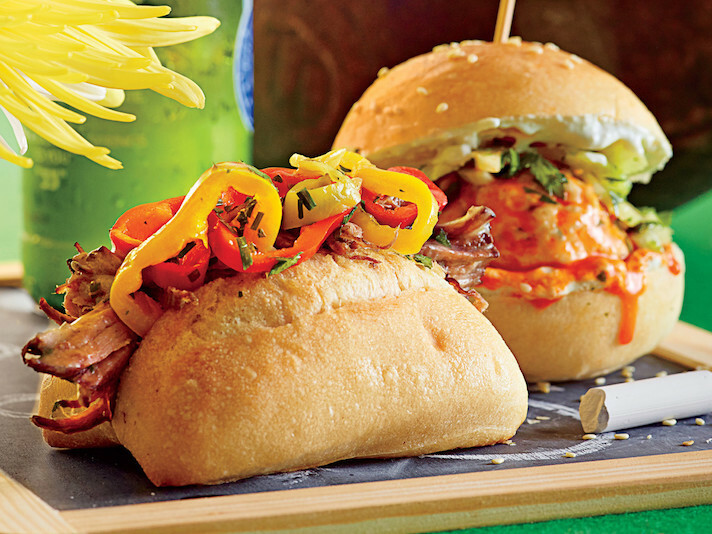 Hearty dinner rolls are key to the success of these tender slow cooker beef sliders with pickled peppers. Some people love serving tiny sausages on sticks at parties; some don’t. 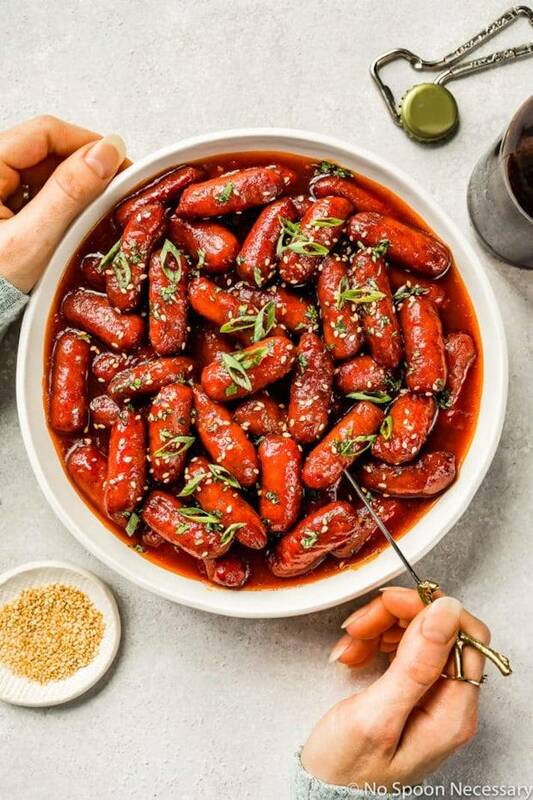 Either way, these slow cooker honey-sriracha Lit’l Smokies are well worth a shot. We said there was no such thing as too much Buffalo sauce, and we really meant it. 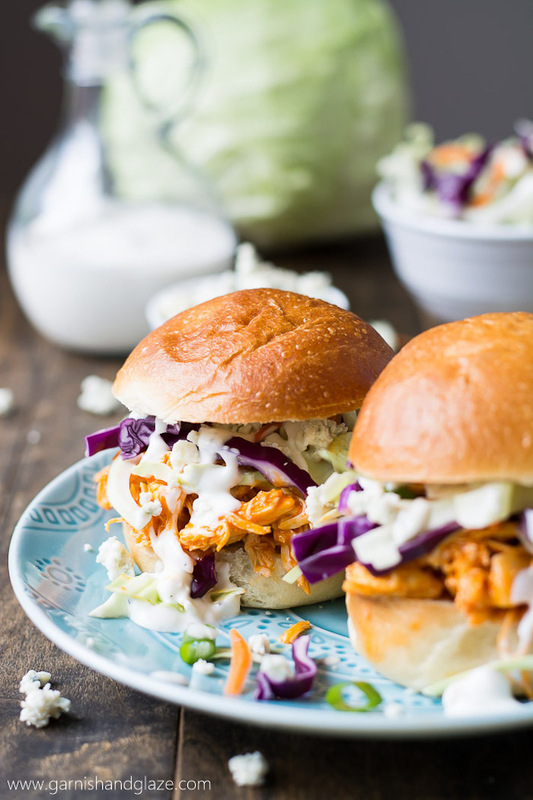 These slow cooker chicken sliders get a satisfying crunch from sliced cabbage too. Bacon? Check. Bourbon? Check. Meat? Check. 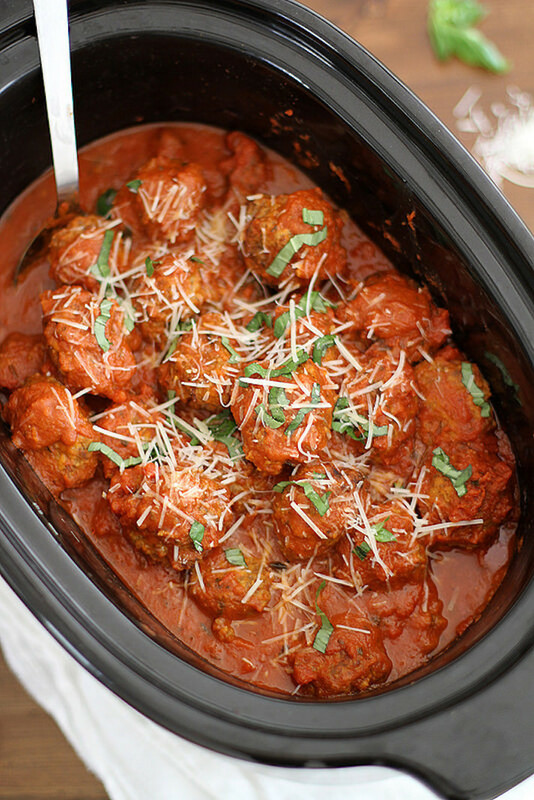 Amazing that this tiny slow cooker meatball dish can cover so many bases at once. 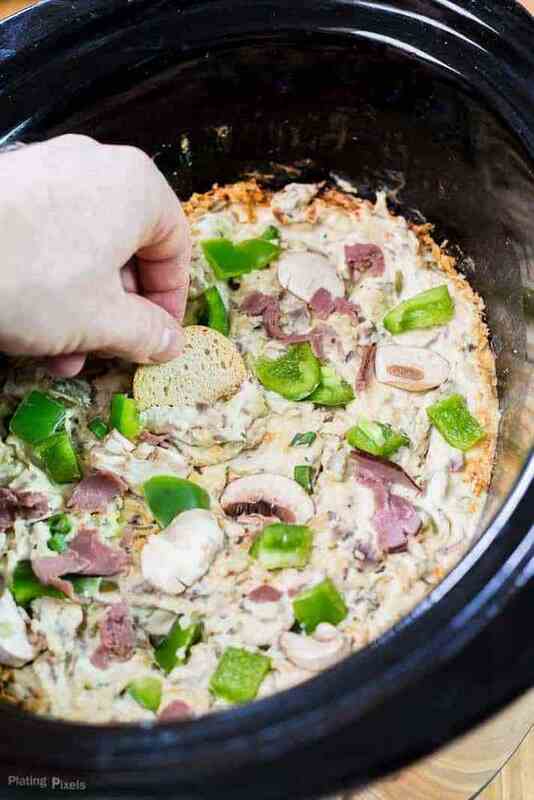 Dip whatever starchy dip vehicle you want into this slow cooker Philly cheesesteak dip. 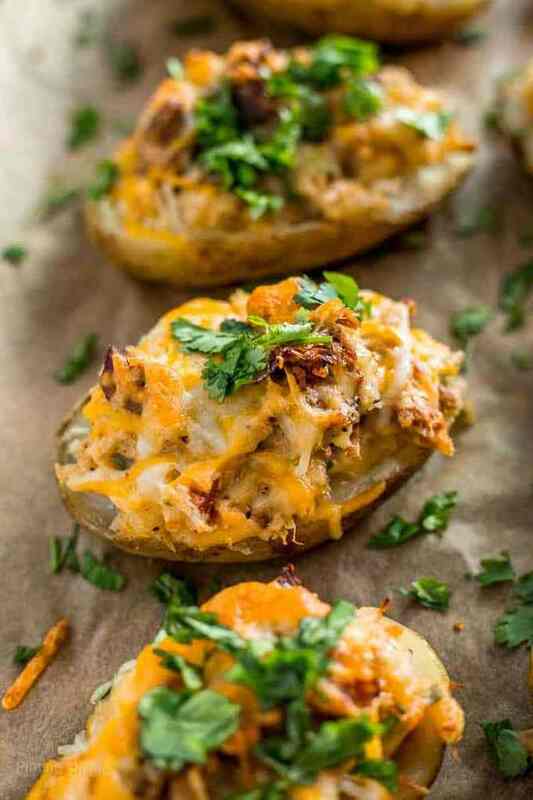 Bacon is a fine ingredient, but take things to the next level for the big game and fill your loaded potato skins with carnitas instead.